Still one of my favorite breakfast treats! 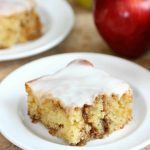 Apple Cinnamon Roll Cake tastes just as good as a cinnamon roll just way easier to make. Cinnamon rolls are one of my favorite treats to eat for breakfast. I’ve never attempted to make them from scratch but my mom makes them for me every time I go home. She knows exactly how to make me happy. I’ve always been a little intimated at the thought of making cinnamon rolls from scratch but when I saw cinnamon roll cake recipes on Pinterest, I knew I could handle that. And as I walked into the grocery store, I saw a huge display of red apples that inspired me to make Apple Cinnamon Roll Cake. 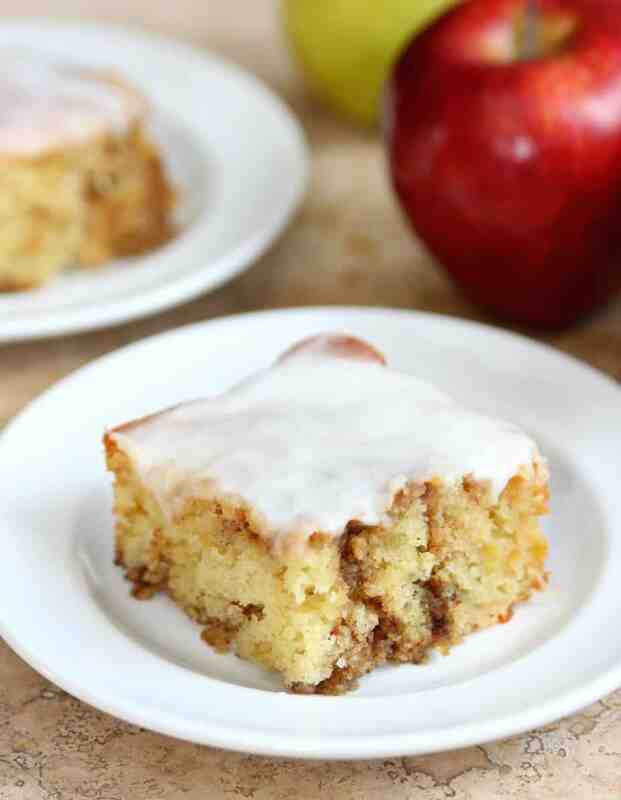 I figured you can’t go wrong with apples, cinnamon, and cake. Mix cake mix, eggs, oil, yogurt, and apples in large bowl. Pour batter in baking dish. In small bowl, mix brown sugar, butter, flour, and cinnamon. Dump sugar mixture evenly over batter and then use a knife to swirl through cake. In medium bowl, whisk together powdered sugar, milk and vanilla. Drizzle evenly over warm cake. Serve warm or at room temperature. 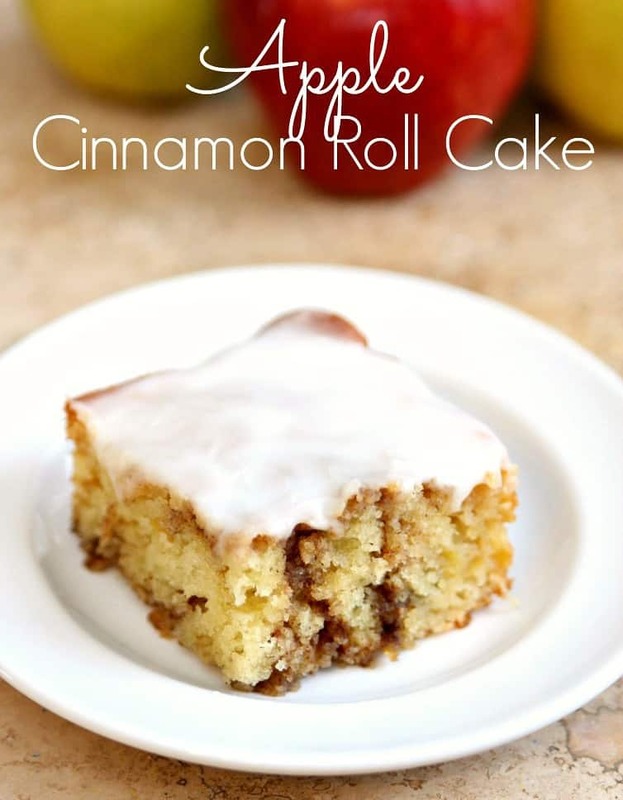 Of course this cake will taste amazing without the apples and if you’re a fan of cinnamon rolls but don’t want to make them from scratch, I highly recommend this cake. I also recommend adding the apples. 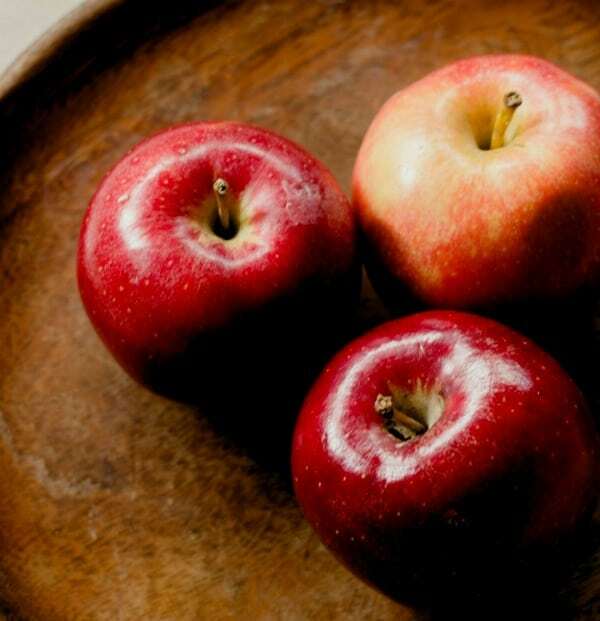 Plus, I feel like adding apples makes them a little healthier. At least I’m going to keep telling myself that as I enjoy a slice for dinner.